An actress’s identity is always in flux. For Darren Cunningham, whose first album under the alias came out almost a decade ago, being Actress has allowed him to shapeshift at will, pushing his “R&B concrète” into increasingly abstract territory over four distinct, individually acclaimed albums. But after 2012’s RIP, a solemn epitaph inspired by death, ascension, and the epic poetry of John Milton, 2014’s gloomy Ghettoville was a long exhalation, the “feeling of being dead”, as he said at the time. 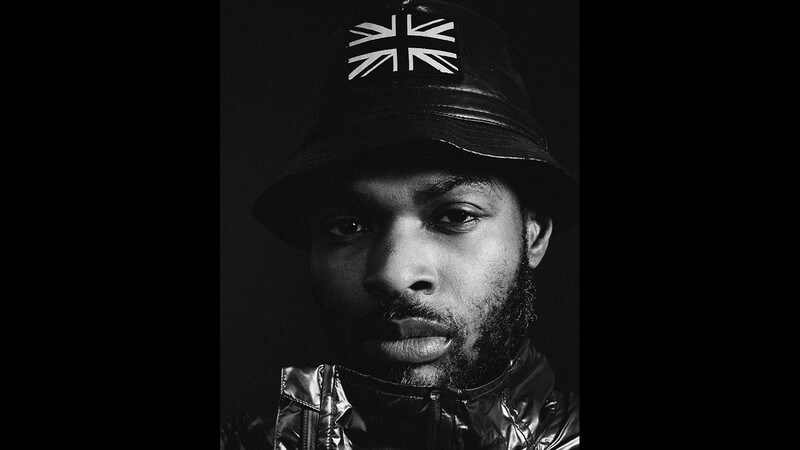 It felt as if Actress had taken a final bow – but now he returns with his fifth album, introducing a new persona on AZD. His music has always been intimate and intense, but Cunningham has never shied away from big ideas. 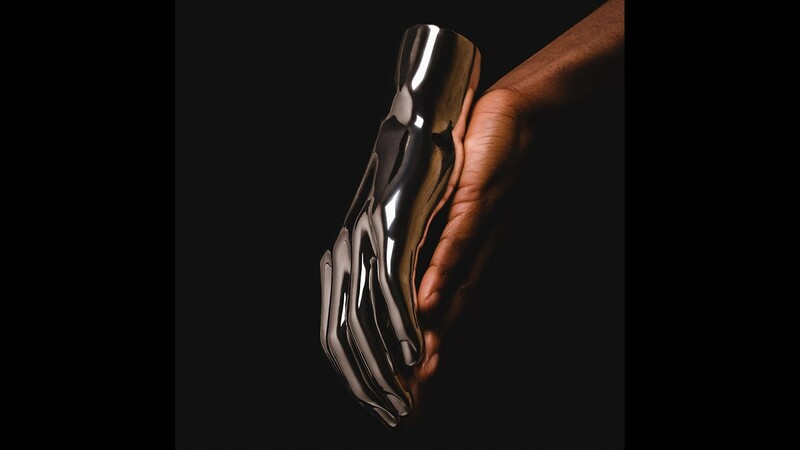 On AZD, the Wolverhampton-born artist ties the personal with the political, harking back to the electro and techno energies of his early albums and lifelong influences Derrick May and Juan Atkins on tracks that enhance his monochromatic palette with a layer of shining chrome, as imagined by his synesthetic mind. If Ghettoville seemed like an exhausted coda to the lifespan of Actress, his rebirth as AZD finds him in a playful, rejuvenated mood. 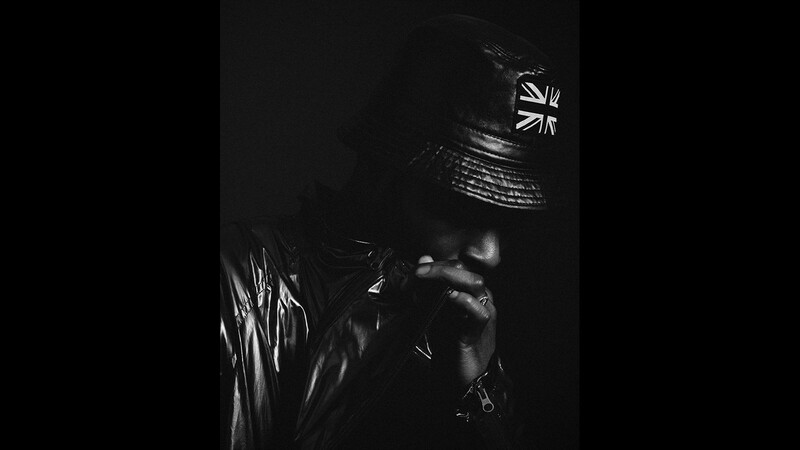 There’s humour under the surface, from the title (pronounced “azid”) being an anagram of his childhood nickname, Daz, to the deadpan solemnity of the album’s prettiest track, which he’s titled “Falling Rizlas”. Our conversation takes place in southeast London in the second-floor flat that currently houses his synths, samplers and towers of artist monographs. Leaving a ghostly sliver of synth playing softly while the vertical lights of the city blink in the distance, Cunningham explains how the cryptic self-built language of hip hop philosopher Rammellzee and the “outsider” art of James Hampton influenced AZD and argues that dance music is effectively obsolete. As Actress, you’ve often experimented with your identity. You’ve also released music anonymously and under different aliases. But the thing is, your sound is very distinctive – it’s pretty easy to guess who’s behind those releases. Actress: Yeah, but on the other side I’m emphasising the distinctiveness in my sound, so it’s almost like an extreme patenting. There is no mystique, really, about what I do. I know my sound is quite distinctive, but I need to send out reminders of that distinctiveness at the same time because it preserves what I do. It preserves my creativity and it patents the language that I’m putting into my music. Have you ever been concerned that as you become more proficient you might lose certain aspects of your sound that made it so distinctive, like the sense of imperfection that runs through your records? You’ve talked before about your love of Detroit label Metroplex because there’s always something fucked up about those early techno records – and perhaps as you become more skilled, it can be hard to preserve that. Actress: I don’t think that’ll ever happen, to be honest with you. I just think that’s naturally the way that I make music – there’s always imperfections in it. No matter how much I refine it, no matter how much I update or modernise the equipment, the imperfections will always be there. And that’s just because there are gaps in my knowledge that I will never be able to fill in. Or is it because you wouldn’t want to fill them in? Actress: I wouldn’t want to fill them in, also. Don’t get me wrong, I do sort of go, ‘I wish I could do this, it would make things so much easier.’ I can sit at the piano and knock out a tune – I mean, I can knock out my sort of tune – but sometimes I feel I would like to have learned how to play the piano properly. That’s not to say I didn’t have lessons, and this is why I think my music will always have those imperfections, ‘cos I think there’s a slight short circuit in my brain in terms of learning. I remember my nan’s friend trying to teach me how to play the piano. He was a 70-year-old man and he was getting so frustrated with me, hitting me over the head with his walking stick, and I was like, ‘I just don’t get it! Can’t I just do what I wanna do?’ And I think it’s that rebellion, not wanting to adhere to the rules and leaving it this long, to the point where I’ve devised a system of working which is kind of half-in, half-out. It’s between the robotic electronic music that I grew up listening to and the human aspect, just physically messing around with stuff. You used to produce without a metronome. Is that still the case? Actress: When I first started that was how I started making music, yeah. That’s a very distinct path to follow early on, not having that ‘click’ to guide you. Actress: That mostly comes from dance, I think. When I was younger I was always dancing. The music I was into was new jack swing, music where you really had to break your body. So (clicks fingers) I just feel that, you know, and the sort of in-between-ness of it. I’m never (clicks fingers steadily). I’m always finding those gaps that are in between. Does this album represent a major break for you, sonically or atmospherically? Actress: I mean, if you’re comparing it to the previous four albums then yeah, totally. All those albums relate to death, decay, the metropolis, the undergrowth. In fact, interference is a big thing. I like to put my music in a place where it’s like it’s trying to come through a radio signal, trying to emerge through a band frequency. That is the aesthetic that I really like. I’ll be travelling around listening to Lightning FM and I can never pick up that radio station clearly, but I don’t care because I really like the sound of R&B trying to emerge through white noise, and interchanging with classical music because it’s not quite on the right band. That experience of radio interference feels almost nostalgic now, with internet and DAB radio instead of FM. Actress: I can’t really get with listening to things in clear (definition). I listen to Smooth FM and Magic FM, just because of the production – I’m a student of production and I’m always listening. Regardless of the 80s cheese, the production values are just incredible. But yeah, sonically and from a ‘sound art’ or whatever you want to call it perspective, that (interference) is the thing that really gets me. You can hear that clearly on ‘CYN’, where the Rammellzee sample is interrupted by these melancholy, almost Aphex Twin-style synths. Rammellzee is obviously an influence on the album, along with the American artist James Hampton. It’s interesting that you’ve made a connection between them. Actress: That’s a moodboard, you know what I mean? That’s a jumping off point. It occurred to me, it’s pretty obvious that a lot of the art masters are generally white, other than Basquiat, who everyone knows, and Chris Ofili. I was like, who are the black artists? ‘Cos they’re definitely out there. And I was like, why aren’t they out there, why aren’t they being covered? I came across James Hampton ‘cos I was reading this black art history book, and his story basically told me the reason why it might be like that. His whole methodology he basically kept secret, because he was living in an age where you’d just, like, get killed for the colour of your skin, you know what I mean? Even for doing anything which might have been artistic, if he’d told someone they would have destroyed it, they would have burned his place down. So he secretly created this piece of majesty which, I don’t know if it was eulogising himself or what, but that idea was in his head for the longest period of time and he constructed it by finding things and putting them together, and I just found that such a stunning gesture about art and what it is. And (I relate to) that secrecy, the anonymity – protecting my art. I think black people are much more protective about what they do than other artists, and I definitely feel that way. Rammellzee’s thing is kind of similar – finding things and creating other things – but his whole thing was also very strongly about language. That was another parallel I noticed with James Hampton – he made notes in his own secret language. There’s a link also in terms of black artists creating their own language, a language that isn’t English, that hasn’t been imposed on them. Actress: I mean, there’s interviews with Rammellzee out there – the deepness. He’s going to levels, and it’s hard not to see the logic in where he’s going with a lot of the things he says. Nevertheless, he’s still out there! But it gives you a real tipping point to consider these things. Stepping away from the concepts and the artists I was looking at, you know, I still had to make the music. I was in the loft at my house, and the room was about the same size as this room (gestures around the very compact space) and if you can imagine all my kit in that room and the electronic signals that are coming back, there were times where I was just in the corner having worked for hours and hours and hours, and to be honest it became very alien – the force of doing it was actually quite alien. This was when the (the idea of the music sounding like chrome) started to come into it, and the language, and it was all getting a little mixed up. I was still smoking quite heavily at the time. When you’re programming and entering names, things just get a little bit twisted, but you still have to make sense of it all. The track ‘Faure in Chrome’ came out of your collaboration with the London Contemporary Orchestra last year. Actress: I keep banging on about Gabriel Fauré as if he’s the only composer I’ve ever listened to. I only mention him because when I first moved to London, the first CD I bought was his, and I have to say, without any embarrassment, it saved my life in terms of what my mental condition was at that time. ‘Requiem’ is just untouchable, really. (The LCO) were saying I should do a version of ‘Requiem’, and I was like, ‘That would be amazing.’ I did a quick test, chopped up a couple of the compositions and imported them, put them through different sounds and synthesizers, and that’s how that track came about. So with these ideas – the influence of Rammellzee and James Hampton, the sense that the album ‘sounds like’ chrome – it seems important for you to try and direct the conversation around your work. It’s as though you’re trying to make your records about more than just the music. Actress: To me, the traditional form of music and dance music, using snares and using very familiar sounds, is quite obsolete. I still enjoy it, but that to me is not what music is. I honestly don’t see music, I just see information, data, programming, electricity, biochemistry. I wanted to be a biochemist (when I was young). I don’t feel like I have to sit at a drum machine to do what I do – I feel like I can take pictures and make music out of that, I can write stuff and make music out of that. Why should there be limits to the mediums you can use? Actress: Yeah, totally. And now that technology has accelerated to such a point, there’s new stuff all the time. That in itself is a little bit off-putting. That system over there (points to a cabinet full of vintage gear, including an oscilloscope), most of the stuff dates back to the early 80s. There’s only one bit of kit that is actually modern. I’ve kind of gone backwards in terms of making music. All the big dons that were making music in the early 90s and late 80s – how they were making music on some of that equipment and software, it’s like, how did they even..?! So I’ve tracked back because I want to find out how that was done. My musical environment is actually quite primitive – I use software that’s like the early version of Max/MSP, the beta version, which is just strange. But I figured out how to use it and it’s given me a different dimension because of that. Maybe the next technological change will be a more complete breakdown of the way we create and share music – formats could change. Actress: There’s only one format that has really stood the test of time and that’s vinyl. I think it goes beyond nostalgia, I think it’s just the perfect artform. It sounds great, it’s desirable, it’s big enough that you can get creative in terms of what sort of picture, what sort of material you want to use, it’s great. But I think ultimately it’s about the people. As you’ve seen recently there’s been more women coming into music, and little changes make things interesting. I was listening to UMFANG’s music the other day, and it’s techno, but she’s got these very subtle different ways of starting a track and transitioning from one idea to another – which is exactly what techno is about – which men rarely can do because they’re always copying another artist. They’re fanboys, forever fanboys. It’s people’s open-mindedness that changes the music. It’s a human thing. The technology is just there – unless you do something with it, it doesn’t do anything. So it’s always a human expression. That’s how things will ultimately change.